Nason Mechanical Systems is dedicated to empowering its employees through open and active communication. We include our employees in the planning process and update them regularly on our progress. In addition, we are committed to assisting them in reaching their full potential by providing ongoing training and education in their primary and related fields. 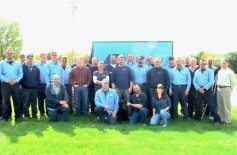 We pay competitive wages, offer excellent benefits and share profits with our employees annually. Those interested in learning more about our Company or exploring employment opportunities should contact us.